Using the latest build of Revit Architecture (20071109_2345) Revision tags have been failing to display a value. We have not determined the cause but at this time it looks "buggish". In the meantime a work around. This appears to be the result of an interaction between the Annotation Crop and the Revision numbering mechanism. This has been reported in a few cases before this. I will log this problem and you will be updated on the progress of this. The workaround for this is to go to the View Properties for the view with the Tag in it and turn off Annotation Crop. Insert your Revision Tag. Your Tag should now be visible but your annotation is now visiable every where. Go back into the View Properties and turn Annotation Crop back on. This should fix your problem. Joe Zhou from our Hong Kong office says - "this tip provided by Kei from Autodesk helped us and is so good I want to let everyone know about it"
1 - Farside clip just about enough width (does not need to be accurate) that will appear on specified elevation view angle. If you happen to place foreside first then the farside, delete foreside then replace it. Did something in your project disappear? Most of HOK CAD Solutions are home grown, but here is a great checklist from David Duarte Revit Beginners blog. 1. First, check to see if it is still visible in other views. 2. Check Visibility/Graphics. Is the object category (and subcategories) ON? 3. Check Visibility/Graphics. Is the linestyle set to Override? 4. Check Visibility/Graphics. Is the detail level set to By View? 5. Check Visibility/Graphics. Are all the worksets ON? 6. Check Visibility/Graphics. Are all the filters ON? 7. Check Visibility/Graphics. If the object is in a linked file check Revit Links. 8. Check Visibility/Graphics. Check each design option. 9. Try changing phase and phase filter in View Properties (VP). 10. Try changing the detail level of the view. 11. Are all your worksets opened? (it may be hiding in a closed workset). 12. Check View Range in View Properties (VP). 13. Check for Plan Regions if in a floor plan view. 14. The object may have been moved to a new elevation. 15. Check Crop Region and Far Clip settings in View Properties (VP). 16. Set your view to wireframe. It may be hiding behind a filled region or other object. 17. Select the Linework tool (set to By Category) and see if it wasn't hidden with this tool. It would be very benefitial if one could toggle on/off the use of the linework tool in a view. 18. If the problem is with a family file open the family and check the visibility of the elements. "If you can't find it by now it was probably deleted!" Bart van Vliet/SF says: "When snapping to the edge of walls, ceilings, etc to define the crop region , sometimes the lines disappear. I can’t figure out how to allocate a line type to the crop region. The only solution I can think of is to stretch the crop region beyond the limits of the elevation, and then create a masking region of two closed loop lines, of which the interior has the heavy line and the exterior lies beyond the extends of the crop region." > David Nilsson/ATL solution: The two loop masking region is the solution I use. You can create a detail component with the masking region already set up to speed the process up a little, but as far as I know that’s the only way to get the profile lines to appear in the traditional manner. I’d love to find out that I’m wrong. >> Kevin Parks/ATL responds: I use this same technique, but as far as the crop region is concerned, pull the region off of the edge of the wall just a little and the line will not hide. 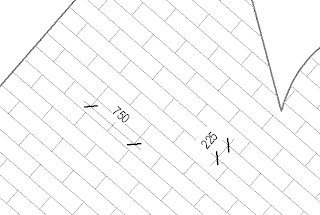 Revit wants to snap to the wall face and covers up the increased line thickness. So, the solution is to pull the crop region back off the face of the wall and the line will show up again. Make sure when you do this that your thin lines button is turned off so your line thickness shows up. >>>Bart: The best option I have seen is the one I started with: puling the crop region off of the walls, ceiling and floor and creating a masking region with a heavy line outlining the face of wall, ceiling and slab and another line outside the crop region. Still open for suggestions, as it is quite a bit of work. Ed - "Revit Wish List" then! Steve Stafford reports the new builds avaiable for Revit products. David Ivey, Chicago asks: "Is there a way to get Revit to land stairs at floor level when the levels having varying heights (i.e. the number of risers needs to change?" Kiajoon Tan, London replies: The tread and risers will work for different runs within a same stair, To create different runs just do the appropriate maths and drag how many risers you want for each run, Release the mouse button when you have enough rosers for each run and then start the next run. The stair shown is created by controlling the number of desired risers to 30 and maximum height to 175 per riser, totally calculated to a 5.25m height to get the exact mid landing at riser number 20. i.e. you must be consistent with a common riser denominator with your levels. 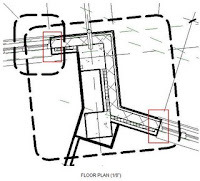 Victor Martinez from NY asks: "When using the Spot Elevation tool with either the Project or Relative setting, the value shown when tagging a Pad in plan reports the elevation of the bottom of the Pad, even though the top of the pad is set to the correct level. Is this the correct value or a bug? Should we be placing a slab above the pad so that the tag displays the correct elevation? When tagging in section we can choose the top of the pad. Any feedback would be appreciated." Cyril Verley's solution: "I recommend that you think of the “pad” as a vapour barrier and set the thickness to 1/16 (or 1-2mm)” instead of a floor slab. Place it and then place a real floor slab on top of it. This will give you a more accurate scheduling of the floor slabs vs. building pad. 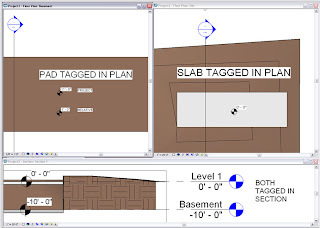 It will also help set the elevation tag correctly since it will display the “true” floor slab height." AUGI is pleased to introduce the new Revit Architecture Wish List! With the support of Autodesk, AUGI has developed a Wish List system for Revit Architecture that allows you to submit suggestions (wishes) for improvements to the product and then to vote for your 10 favorite wishes. "Does anyone have a better way to create true elliptical walls (without just approximating them with curves)? I have been creating elliptical masses, and then adding walls to the faces, but then we can’t really edit their shape without going back to edit the mass, and then remaking the walls." David Ivey. There are some Known limitations to using the Ellipse. Here are 4 ways to create Elliptical Walls. If you are using the wall by face tool, the wall object is set to “Related to Mass”, so the only way to change the geometry is to edit the mass and remake the walls. Ed - Is there a better way? 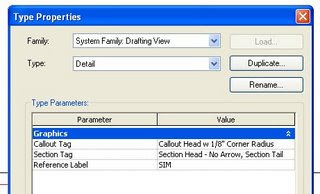 In order to reference the "HOK Best Practice Details" details (which are drafting views) on a plan/section/elevation view we need to create a callout and select the "Reference another view" check box. Every view type has a type parameter called "Reference Label". The text value of the reference label is a parameter of the view but it's appearance is controlled by the call out type. There is no user override of this behavior. Current HOK policy states: Reference labels such as "TYP" "OPP" "REV" are never allowed. SIM" might be OK but is not recommended. 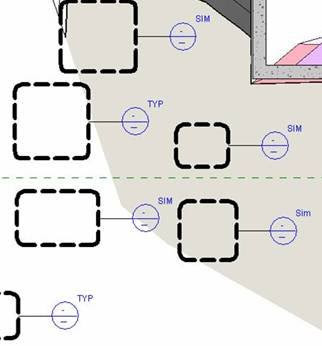 In the future we may want to use "SIM" to have an explicit Revit meaning: To distinguish actual views of the model from drafting or duplicate views. This is one of those situations where the Revit behavior is based on a clear logic and traditional practice is sort of fuzzy. For now let's stick to policy but should we ever have the need for multiple reference labels such as "OPP" and "TYP" we can easily create a separate view type for each label. 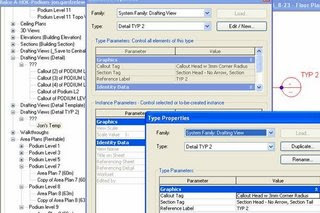 Creating multiple view types are possible only for Elevation, Section, and Detail views. Only one type of Floor Plan view is allowed which means we can only have one text option--most likely this would be "SIM". Placing the text manually is also thought to be a valid substitute for the parameter. Autodesk have released new builds of Revit Architecture 2008 and Revit Structure 2008. When I looked there was no new build for Revit MEP. Note that the build now refers to the product as opposed to the year of release which is welcome and easier to relate to product. • Improves stability after receiving a corrupt element warning when opening a project.• Publish to DWF™ functions when Rooms are present and are clipped by the viewport.• Improves stability when saving a Project with a linked DWG™ file that contains an image.• Improves stability when applying a view template to a sheet view.• In Windows Vista™ operating system, allows the ability to write to revit.ini, licpath.lic,KeyboardShortcuts.txt, and the Journals folder.• Line based families contained in a group are no longer flipped when the group is mirrored.• Improves stability when importing group into Titleblock family.• Allows the ability to export renderings to TIFF format.• When temporary dimension text too small to read, user can adjust the size of the font through Revit.ini.• Linked DWG added by another user will now show up in Manage Links after reload latest.• “Relative” spot elevation updates automatically with the change in Level elevation.• When exporting to DWG, overlapping lines that share a point are no longer missing in the resulting DWG file. • Straight beam joins and cuts back properly when supported by vertical curved beams.• Improves stability after receiving a corrupt element warning when opening a project.• Improves stability when saving a Project with a linked DWG™ file that contains an image.• Improves stability when applying a view template to a sheet view.• In Windows Vista™ operating system, allows the ability to write to revit.ini, licpath.lic,KeyboardShortcuts.txt, and the Journals folder.• Line based families contained in a group are no longer flipped when the group is mirrored.• Improves stability when importing group into Titleblock family.• Allows the ability to export renderings to TIFF format.• When temporary dimension text too small to read, user can adjust the size of the font through Revit.ini.• Linked DWG added by another user will now show up in Manage Links after reload latest.• “Relative” spot elevation updates automatically with the change in Level elevation.• When exporting to DWG file, overlapping lines that share a point are no longer missing in the resultingDWG. RMEP (2007_0615_1700 ) is the latest Revit MEP build. The previous post related to same subject has been deleted from this blog. Revit: limited access for "Project Managers"
Open Revit: Double-click the Revit Architecture 2008 icon on your desktop.Open the Project: Click the File menu > Open. Now use Browse to the server and folder that your project files are stored in. You can check with your team’s data leader for precise location information. THIS NEXT STEP IS THE MOST IMPORTANT! Check the Detach from Central check box! Inspect the model - As a project manager it may be unrealistic to expect that you become completely savvy with Revit. It is completely realistic to expect to be able to poke around your project so you can stay involved and connected to your team’s progress and how the model and documentation is tracking expectation. You may need a quick review of how to open views, spin a 3D view, print views or sheets. Close the File: If you choose the File menu > Close Revit will close the project file without saving anything you have done. In fact the entire time you have been working within the project you have been working in a temporary file, with no name at all. If you decide to save anything you have done you must use File menu > Save and choose a directory to save the file in. You must NEVER save the file in the same folder as the actual project or use the same name as the original. Now, Autodesk provides a "Revit Viewer" that is installed with the regular version of the application. This will also allow a team member to view a model without fear of interfering with the active project team. 1. Once the view is ready for export, simply go to the File pull down and select Export a DWG, DXF, DGN. Select DWG. 2. You have the option of saving the Revit View in either an AutoCAD 2007, 2004, or 2000 file format. We typically save to AutoCAD 2004 file format for AutoCAD. 3. You can also select multiple views, i.e. each level’s Floor plan, by changing the Export Range from Current View to Selected views/Sheets. 4. The export Layering scheme is set by default to V:\RAC2008\HOK Support\HOK Export Layer Dwg.txt. In most cases, you can select the existing standard If you are not exporting to HOK standards, you will need to create a custom one. 5. Finally, you’ll have to pick a directory where the DWG file will be saved. 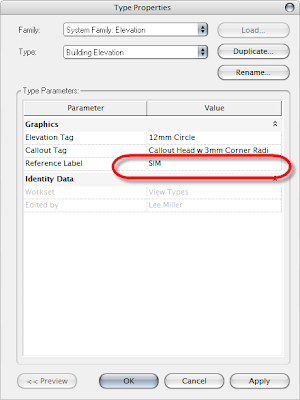 Create a folder in the Revit project directory under Publish\Background. Make sure to create a folder in the following format: YYMMDD – Description. 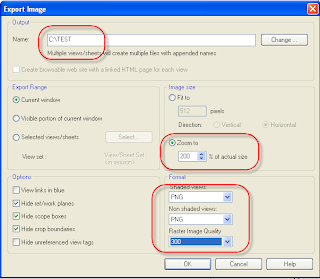 We are having issues exporting jpeg, tiffs or png images from Revit isometric views. We setup the view in the normal way and then go to export images from the file pull down menu. Set the resolution etc; however Revit seems to go through the process of exporting but when you go to the location you thought you had saved the export, you find that there is nothing exported. We have tried various different file formats, but with no success. 2. Name the output location and provide a file name or it will go through the process, but no file will show up. 4. Chose your file format, typically PNG for high quality. If you chose JPG use the lossless option. 5. Also, chose the Raster image Quality. Ranging from 72 to 600. Materials: All the geometry in the model should have a material previously assigned in Revit (especially families) in order to allow the use of the dropper tool in the material editor to select and change the material globally in Max. UVW Mapping The UVW mapping of the geometry in max is generated by the work-plane in which the geometry was created in Revit. This is a very important factor to be considered in the creation of new families. Geometry and number of faces/triangles: My advice in this matter is the proper use of worksets. For example, for the exterior renders we have been using three worksets: Shell, Core, and Structure (slabs, columns, and beams). In this way we ensure that only the geometry necessary for the creation of the exterior render is linked to Max. Mental Ray: Distributed Bucket Rendering “DBR” is the optimal approach. Mental Ray allows you the use of up to 8 CPUs for a render of a single frame. Enhancements to File Link and DWG Import Revit 2008 users can import projects into 3ds Max 9 Extension: Productivity Booster using the DWG format. This format encapsulates information about geometry, material, lighting, rendering properties, and cameras, streamlining project data exchange across multiple applications. This extension includes enhancements to DWG import performance, reliability, and ease of use. Meanwhile, while we are trying to figure this workflow out Michael Ruiz a self confessed fan of Accurender is producing some great images inside Revit without the need to link to Max!. I am working on an office project that contains a series of vertical penetrations surrounded by a 2 hour shaft wall. 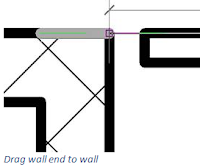 We are looking for ways to get Revit to understand that this wall type must be closed off from other walls types. Does anyone know how to unjoin different wall types so that, in plan, they cleanly align and do not try to automatically wrap the finishes around each other? I have tried to simply disjoin them at the corners and keep getting strange offsets and gaps. Also, will the room command still work within a room made of non-joined walls?Please let me know if you know! Then you align the wall end to the wall without joining it. - Drag wall end to wall. 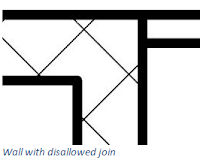 ADT: How do I convert a PDF to DWG? Thanks Aida Staugaard and Chris Anderson for sharing this tip. 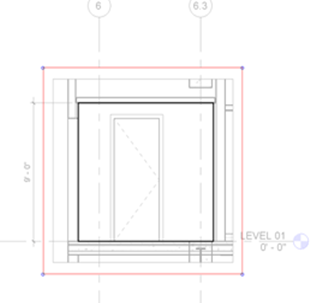 We need to convert PDF to DWG quite often, can anyone recommend good convert tool? Answer - If you have a CLEAN line drawing only available in PDF format, you can convert this to Autocad dwg using Adobe Illustrator. Open the PDF file in Adobe Illustrator then do a File, Export, save to Autocad dwg selecting 2000 version. That’s it. When you open the file in Autocad, you will need to check the scale of the drawing and work on the layers since you will lose this information. Thanks Aida Staugaard and Chris Anderson for sharing this tip. -This is a very good value for training in Revit,3D Studio, and other CAD/BIM topics and is highly recommend it for CAD Managers and others. They can be aggregated to reduce the time and effort needed to regularly check websites for updates, creating a unique information space or "personal newspaper." Once subscribed to a feed, an aggregator is able to check for new content at user-determined intervals and retrieve the update. The content is sometimes described as being "pulled" to the subscriber, as opposed to "pushed" with email. I like the Aggregator Netvibes....click here to see how it works. Does anyone know a quick way to resolve some of these Revit warnings that appear, other than deleting the object and recreating it? In this example I’m getting an error in regards to a room’s top face, so I changed the properties to be defined by the level above. I adjusted the properties in this room but the warning still has not cleared. I’d hate to have to recreate 250+ rooms!! Great suggestion from Jon Gardzelewski where the void former which is about 50mm needs extending to the slab below. Edit cut profile is a quick way to draft using model elements that works with keynoting. When using this you need to realize that your views will be fixed but the model won’t, and so I will only advise to us “edit cut profile” to clean up internal joints. Below see my composite slab comprised of 150 RC over varying depths of void former. Select “edit cut profile” and then knife the material you want to manipulate. This takes you into the greyed out world of purple lines (Revit users know what I mean). 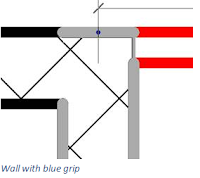 Draw an enclosed shape and be sure to connect the orange lines have the blue arrow point to where you want the material stretched into. Once you’ve filled the gaps in add your keynote by material. Notice how the void former hatch pattern has been extended and the keynote applied. When deleting any detail items always use the filter. Otherwise I guarantee you will delete model elements without realizing it. See: “railings” and “Revit links” almost disappeared without a trace. It is important to understand how keynotes are setup on a project and where the files are located, here are some examples from the BP2 project. If we need a new keynote we can add these where appropriate, and I would say that any note used in more than one view should be done with keynotes. We’ve created so far Main Keynotes1.txt and Cladding Keynotes1.txt to suit the different models. I have been assigning keynotes by material, but when doing this it is important to create new materials for each keynote (we can have an internal debate about other options as well). I went into the floor family, went into the structure, and in each material there is an identity tab where you can select your keynote from a list that references the text file link from above. To re-load that link go to settings/keynoting and browse for the path. When you browse you can just re-select the same link and it will reload with any changes. Welcome to this HOK BIM Solutions blog. -Solutions to problems that are likely to occur generally. -Interesting work processes that are of general interest. -General commentary about the industry. -Solutions or processes that would only apply in a limited context. Be constructive, polite and positive. Thanks to Chirag Mistry and Kevin Shumbera to this workaround. 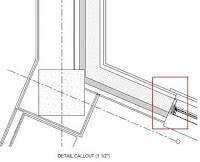 If you have a situation where a wall wraps correctly around the windows in the 1/8" plan but fails to wrap in a detail callout (a floor plan callout wraps correctly.) The bad news is that this is appears to be a bug in Revit. The good news is that you do not have to recreate all of your callouts. 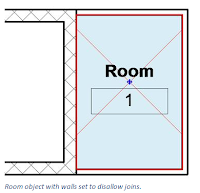 -Select the wall and explore its element properties. -Choose Edit/New for “Type” parameters. -Change the wrapping at ends parameter to “none” and hit apply. -Now change it back to either “Exterior” or “Interior” and hit apply again. Changing this setting to none and back again seems to make Revit reapply the wrap. * If you change the crop region of the Detail Callout… this condition will occur again and will require the same steps to fix. That being said, there may be other random actions that can cause the view to revert. A new user profile will then be created when ADT is restarted. Start by modelling your form in Rhino. Then export your model from Rhino as a SAT file, ideally using the export to AutoCAD SAT format. From the file pulldown menu, select saveas > select ACIS SAT from the “saveas type”. The ACIS export menu will appear > select Autocad from this drop down menu. In Revit Architecture 2008, create a new massing family from “mass family template”. Go to File > new family. A dialogue box will appear box, select “metric mass.rft” template. This will then open the family editor. You will then be able to import your export Rhino SAT file into the new mass family. To import a SAT file into the mass family. Go to the File pulldown menu > import/link > CAD formats. Make sure you select ACIS SAT from the “files of type” pulldown menu and navigate to the location where your Rhino SAT file is saved. 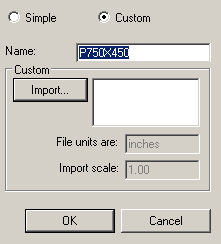 Make sure you set the scaling units so that the imported file scale is the same as the Rhino file. Therefore, if the Rhino file was created in metres, make sure the import units are set to metres. Import the SAT file centre to centre. The SAT file will then load into the family. Save the family with a suitable name. Start a new Revit project. Next load the new mass family you created in the previous steps into your project. To load the family, File pulldown menu > Load from Library > Load family and then navigate to the mass family you previously created. This will then load it into your current project. Go to the Mass tab on the design bar. Pick Create Mass icon; a dialogue box will open warning you that the mass visibility needs to be turned on, accept this dialogue box. Another dialogue box will appear providing you with the ability to name the mass. Provide a suitable name for the mass. The design bar will now change displaying the massing tool functionality. The next step is to place the mass family you created into the project. To do this click place mass and select your mass family from the type selector. You may get a situation where you can’t seem to place the mass in your project. It is possible that the “place on face” icon is enabled. Change this to “place on work plane”. You will now be able to create additional floor levels within your project and use the “floor area faces” tool to cut the mass at each floor plate. To do this go to an elevation view, create the desired number of additional levels. Then select the mass and the “floor area faces” button will appear in the options bar. Click this button and the dialogue box appears which allows you to split the mass at each floor level. Select all the levels you want to place a split at, do this by tick the check box at each level. Next select the OK button and the mass will be split at each floor plate level. Once you have split up your mass element you can now start to use the by face tools within the mass design bar to add additional detail to your form. To start with, use the Floor by Face tool. Select the Floor by Face tool from the Mass tools. Next, Window around the mass form, so that you have the whole geometric form in the selection window. The options bar will now change to include an additional icon for “create floors”. Make sure you have selected the correct floor style from the type selector. Click the create floors icon and Revit will automatically place floors at each floor level. Nested error trapping used incorrectly. This error message is caused by at error in another LISP application. Has anyonne a better solution instead of close/reopen the drawing, because we have to do batch processing drawings sometimes?